Hyperthyroidism (excessive production of thyroid hormone) in cats is growing more common. It is estimated that 10% of all senior cats will be affected by this disorder. It is most commonly seen in middle-aged to older cats and signs include weight loss, vomiting, diarrhea and an unkempt hair coat. The disease has really been a more recent occurrence with the first case described in the late 70s. Only your veterinarian can tell you if your cat suffers from hyperthyroidism and he/she will need to do some diagnostic testing. If your cat is not already affected, however, you should know that there are things you can do to help offset his risk. 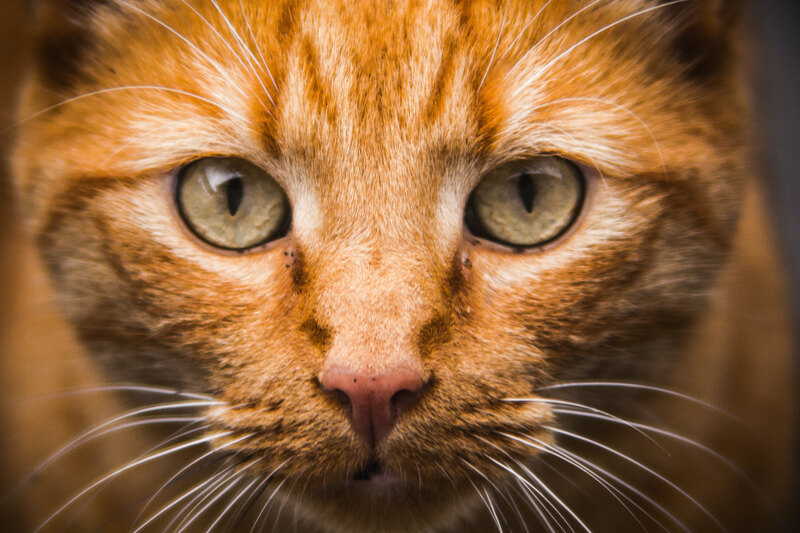 Studies show that the cause is likely multi-factorial, but there are strategies that cat owners can apply to help reduce the risk while science sorts it all out. Plastic is thought to release compounds that change thyroid tissue. These compounds are also present in certain foods and additives. 2. Avoid storing food in plastic containers. Leftover food should not be stored in plastic vessels or left in a can that could be lined with epoxy type liner. 3. Never heat food in plastic. Heat can cause release of more of the suspect compounds into the cat’s food, so it is best to warm food on a paper towel or in a glass dish. 4. Use filtered or demineralized water. Certain tap water contains suspect compounds also. You can remove this worry by filtering drinking water with a high-quality filter or using demineralized water for your cat. 5. Use biodegradable, natural cat litter. The deodorizing chemicals and clumping agents may also be a source of problem chemicals. Natural litters like pine shavings might be a safer choice. The causes for hyperthyroidism in cats are very complex and even if cat lovers are able to implement all the above strategies, there is still no guarantee that an individual cat would never develop this common disease. However, these tips are fairly easy to employ and could make a difference for your cat. They can’t hurt and are worth a try. If your cat has unexplained weight loss or any new symptoms that could be related to hyperthyroidism, contact your veterinarian. How Much Do Rescue Cats Remember From Their Pasts?